My name is Paul Milton I am qualified textile designer and Multimedia Artist and British Dyslexia Association Ambassador for Art’s and Dyslexia. As part of a fund raising event for the kind community in Balcombe and St Mary’s church I am showcasing a First Edition Prototype Print in the Vinings Health centre Haywards Heath from the 11th – 30th of Aril with proceeds going back to St Mary’s Church. Along with the St Mary’s drawing I will be displaying other artwork drawings, and textiles, and various multi mediums on a rotational basis. Along with the limited Edition St Mary’s Church Balcombe drawing I will be show casing several other first Edition drawings of other various locations around Sussex. When it comes to my art I am keen to keep my art local, as I am a local artist, to retain some of the historical heritage for our town and community but also for posterity so that later generations can enjoy. A big thank you to the Team and Practitioners at the Vinings Natural Health Centre Haywards Heath for providing a wonderful location to show case my artwork and thank you for your support. I would like to thank the Mayor of Haywards Heath for her continued support, any support and encouragement with my art is very welcome and much appreciated. And I would like to thank the kind people who came to see me recently at my exhibition at Nyman’s especially the kind couple who when entering the potting shed said in a nice loud voice “It’s the local lad” - that comment was lovely and made the exhibition one of the best. 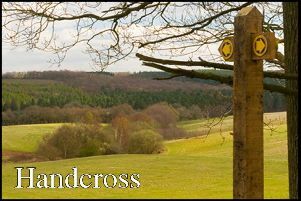 If you would like to take part in the Balcombe/Cuckfield Art Trail 2015 The 21st of September till the 1st of October please contact me. Report contributed by Paul Milton. Picture by Jon Rigby.